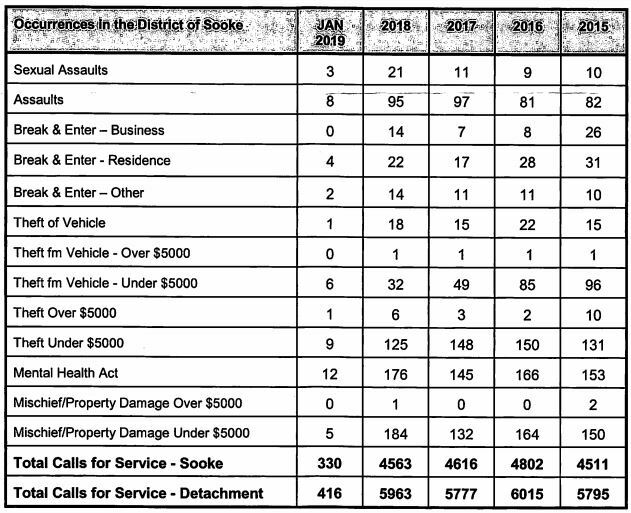 The RCMP Monthly Report was received by Sooke Council at the April 8 council meeting. 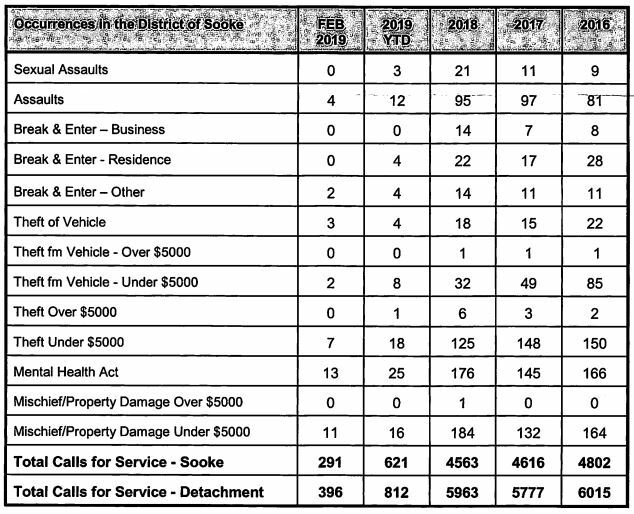 Service calls were down quite significantly from January (down by a count of 39 in Sooke proper). There was no narrative accompanying this report, so that’s all we have for this month.